At the end of the training course, participants received AROQA's accredited certificates. and thanked Dr. Abu-Ghazaleh for his efforts in improving the quality of education in the Arab region. 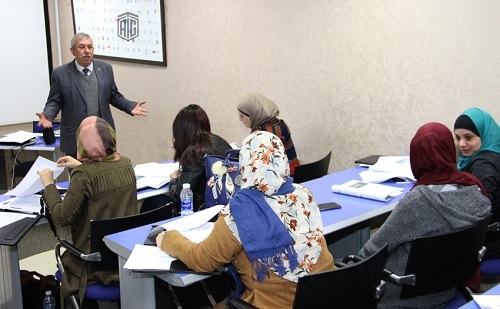 They highly praised the professional level of the course and its topics which enabled them to keep up with professional, practical and scientific developments and changes in order to build future generations in accordance with the highest standards in the cognitive world. It’s notworthy to mention that the Arab Organization for Quality Assurance in Education (AROQA) is an international non-profit organization founded in Belgium in 2007. Its main objective is to promote the quality of higher education in general, with a particular focus on the Arab world. AROQA works under the League of Arab States’ umbrella, chaired by HE Dr. Talal Abu-Ghazaleh, while its Honorary President is the Secretary-General of the League of Arab States.